Einar Nerman, city view Stockholm with Stockholm city hall and Klara. 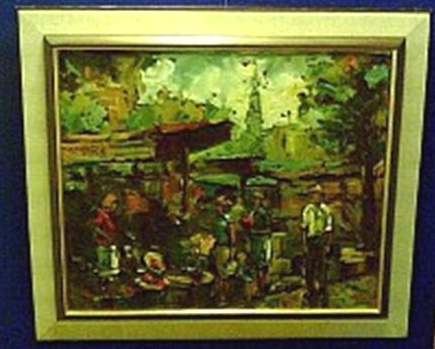 Oil painting on canvas, signed E N. 1940. 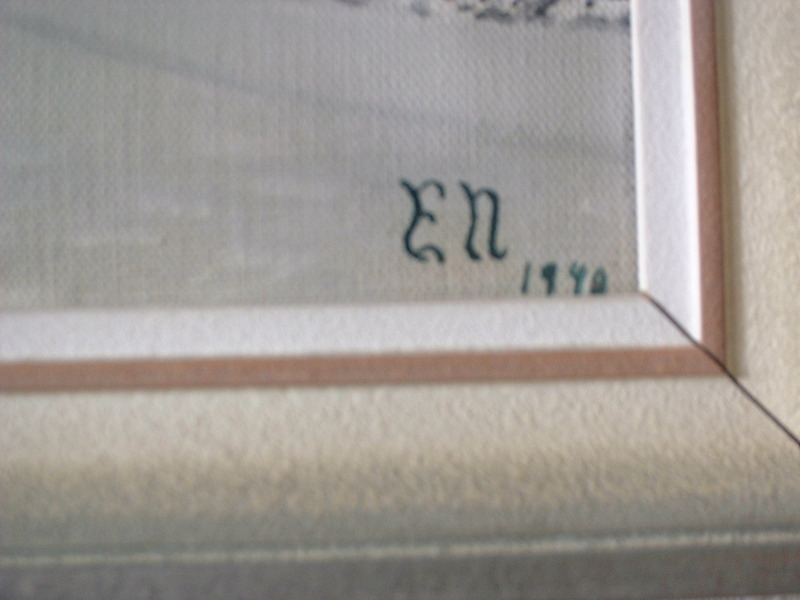 The monogram has been identified as Einar Nerman. Einar Nerman studied art in Stockholm and also for Matisse abroad. Einar Nerman is a very famous Swedich artist who maybe is most known for having illustrated the little boy on Swedish matchboxes called the sun match. In 1909-1910 Einar Nerman studied art for Matisse together with two other well known Swedish oil painters from Sweden: Sigrid hjerthen and Isaac Grünerwald. This is a very rare exclusive object in the art market today. Wintermotives with snow are by some people estimated to be more valuable in the near future because of the fact that snow will be more and more rare in Stockholm and surroinding areas in a near future. 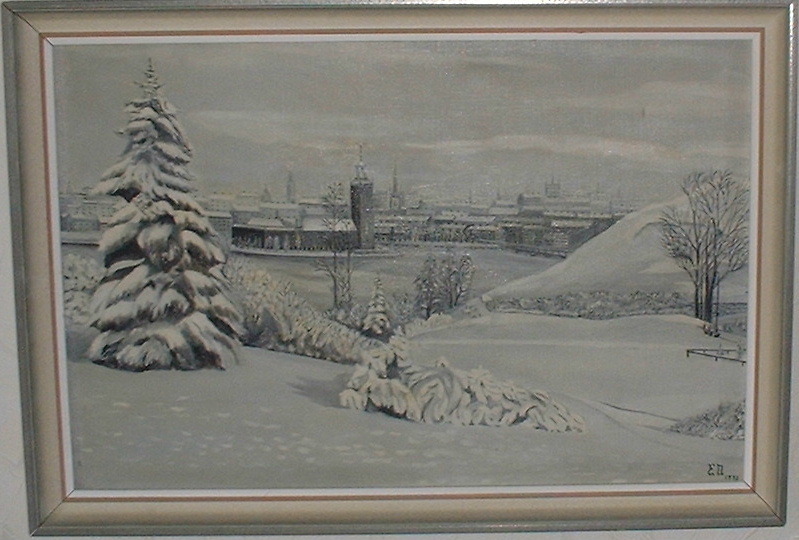 Some collectors in art exspect wintermotives like this painting with snow painted by one of Swedens most known painters Einar Nerman to become more valuable because of this in the near future. *=25 % DISCOUNT OPPORTUNITY BUY FINE ART IN GALLERY JT Ltd fine art shops! Notify me of updates to 1. Einar Nerman Very beautiful view of Stockholm!